Inverewe Garden has a wonderful array of foreign plants which are well suited to the Gulf Stream. Inverewe Garden on the West Coast of Scotland is one you will want to visit many times. Set in beautiful scenery it is a real gem run by the National trust for Scotland. 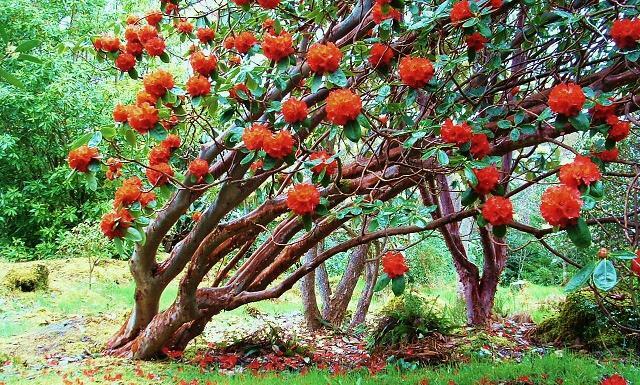 Rhododendrons from the Himalayas, eucalypts from Tasmania, Oleria from New Zealand and other plants from Chile and South Africa. Plenty of paths give you many surprises and it is easy to get lost but do not worry just take in the plants and take your time and see some great views. There is a large walled terraced garden which starts to look good from June onwards with vegetable, some lovely climbing roses, annuals and herbaceous plants. The Garden set in 50 acres on the west coast of Scotland is worth visiting in all the seasons. It is around 2 hours drive from Inverness. The historic Inverewe House is now open to the public following a £2m restoration. 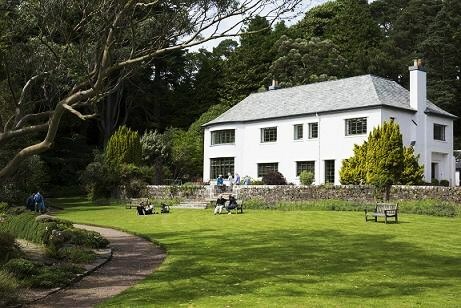 OPENING TIMES -2019 - Inverewe Garden - NT For Scotland : open most of year see website for full details. restaurant, shop. If you want to find places to stay near Inverewe Garden, why not stay in one of our recommended hotels. Each hotel has genuine guest reviews enabling you to book from anywhere in the world in total confidence. Look now for Inverewe Hotels - click here.